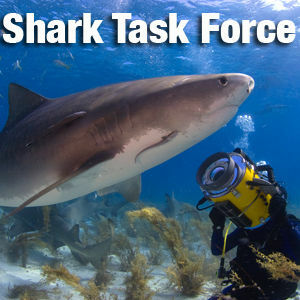 The official page of the Shark Task Force Podcast on iTunes! Shark news, shark conservation. 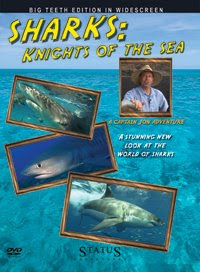 Find out about explorations and expeditions from shark lovers worldwide! The STF has always fought to protect sharks in order to preserve the ocean. However, that assumes we start with healthy, clean water. Here at the SharkTaskForce, our hearts are with everyone working on the massive disaster in the Gulf of Mexico. Our hearts are also with the people who live there - and who make their living from the water. We go on expedition today to meet with Oceanic White Tips in the Bahamas. The location is 30 hours by boat, so we'll be out of touch for a while. As we travel, we know our job is now even more important, to show how beautiful the ocean is, to meet the creatures who live there. We will not take clear, clean water for granted. We will appreciate every living thing. We send our prayers and thoughts to those in the Gulf - we know a solution will be found in the coming days. We also know that as we leave, we could be coming back to a new world. Life in whatever form, must be respected. We must work together to protect the planet. We must start now. its 10th year! Join us in 2017. Guy Harvey Expeditions - Now on iTunes!